An agreement with SMT t gives ABB the right to integrate and sell the company’s patented machine tool robot, the Tricept, in conjunction with ABB’s S4Cplus control system. The robot will be marketed by ABB under the product name IRB 940 Tricept, and is intended primarily for the machining of aluminum castings for the automotive industry. The IRB 940 Tricept was launched at the September IMTS in Chicago. ABB has a strong position in the production and processing of aluminum components, but it had been lacking a product with the sturdiness needed to meet the demands of highly accurate machining. The IRB 940 Tricept is a good example of ABB’s initiative in intensifying research and development collaboration with integrators and other collaborating partners. Thyssen Krupp Materials is now a distributor of Alcoa Europe Flat Rolled Products’ Alumec™ high-strength aluminum materials. This material is used primarily for plastic mold and blow molds. The Alumec product range covers aluminum mold plate manufactured in Birmingham, UK, and aluminum extruded bar manufactured in Hanover, Germany. Baco Metal Centres, a subsidiary of Alcoa Manufacturing (GB), will also continue to distribute Alumec mold materials to the British tool making industry. UK sales of Alcoa Alumec products will be handled centrally by the Thyssen Krupp Materials Special Products facility in Smethwick, West Midlands, in coordination with its field sales force network and in-house customer services and technical teams. DONGGUAN SINCERE TECH is located in Changping Town, Dongguan City, China. It only takes 40 minutes from Shenzhen Airport or Sekou Port to our factory. We enjoy the convenient transportation in our city. SINCERE TECH is known as one of the best mold manufacturer China Companies and exporters for plastic molds for household articles, Plastic chair mould, pallet mould, create mould, automotive mould and so on. Our moulds are mainly exported to Italy, Australia, Saudi Arabia, Jordan, Argentina, Colombia, India, Malaysia, Philippines and other 20 countries. We have a full range of CNC machining centres, large gantry milling machines, vertical milling machines, CNC engraving Machines, electric spark(EDM), wire cutters, etc. 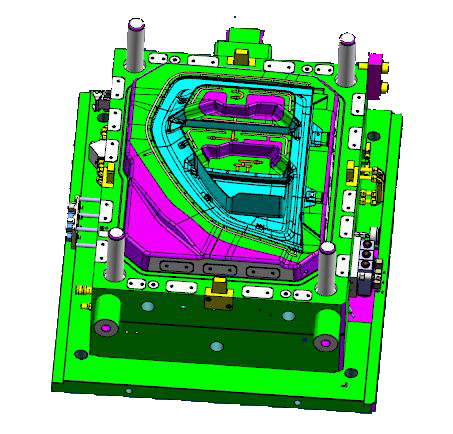 We have advanced technology for CAD / CAM / CAE design and rich experiences in mould making. 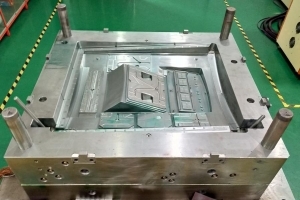 This makes us have great ability to manufacture big size moulds, complex moulds, deep-cavity moulds, thin wall moulds and high precision moulds. We have a strong technical team. We have 5 senior designers and 20 engineers who have more than 15years experiences in mould making. Our designers are good at designing new products and mould structure. In order to avoid any defects during mould manufacturing, we usually do the mould flow analysis for the mould before we start the work on it. 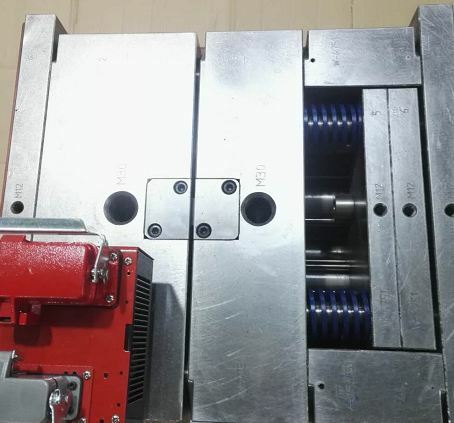 After mould flow analysis, we decide the mould injection gate and structure. Therefore, the mould can be finished successfully and smoothly. 1) household moulds: plastic chair moulds, table moulds, buckets moulds, laundry basket moulds, trash bin moulds, kitchenware moulds, etc. 2) Industrial moulds we produce pallet mould, Plastic crate mould, paint container mould, etc. 3) Thin wall moulds we produce thin wall cup moulds, thin-wall tablewares molds, etc. 4) Pipe fitting moulds we produce PPR pipe fittings moulds, PE\PVC pipe fittings moulds. 5) Automotive parts: bumper mould, dashboard mould, etc. 6) packaging moulds: blowing mould, bottle mould, cap mould, etc. 5. Professional communication with customers during the mould process. 6. We can provide the whole set of production line for injection moulding. We always focus on perfection on quality and services. We would like to supply our best services and our best products for all the customers. Please feel free to contact us by telephone, email or Messenger at any time if you are interested in our company. You are always welcome to visit our plastic mold company. Let’s start our cooperation and create mutual benefits for each other soon! HYX plastic mold company and AMD have tested and certified the latter company’s ATI FirePro™ workstation graphics cards to ensure optimized performance and compatibility with the integrated TopSolid CAD/CAM software suite. The companies’ joint development effort results in superior levels of real-time visualization for TopSolid customers. The development teams from AMD and Missler Software worked together closely to ensure compatibility between TopSolid V6, TopSolid 7 and the ATI FirePro product family, thoroughly testing the ATI FirePro graphics cards with the TopSolid CAD/CAM suite. Test results justified the certification of the ATI FirePro products, from the entry-level ATI FirePro V3800 to the high-end FirePro V8800, by the Missler Software development team in Toulouse, France. The ATI FirePro line of graphics cards is proven to deliver a stable and high-performance graphics environment for TopSolid. Antoine Reymond, global alliance manager for AMD, says that AMD is delighted that TopSolid and the ATI FirePro graphics accelerators are compatible. “It is logical for two worldwide players to cooperate in the common interests of our customers,” he remarks. With the rising population and growing economies the transport sector is faced with number of challenges like increasing number of vehicles on the roads plastic molds and plastic injection molding parts for car, home appliance, house cook, high fuel consumption, need for alternative fuels for use in the transport vehicles and more important the adverse impact on the environment. Almost all the major cities in all the countries face the challenge to meet the growing need for transport vehicles, plastic inejction molds in the cities. The number of vehicles on the roads is increasing every year resulting in traffic jams, rising air pollution more accidents. Some of the major cities of the world like Delhi in India, San Ramon in California in USA, the city of the most famous project ‘The Silicon Valley Project’ and London in UK are experiencing the rising number of vehicles on the roads. all of those are need electric parts metal parts, die casting parts, injection molds, the most of those products are purchased from China companies, like metal part china companies, custom injection molding china companies, electric china companies. Government in some of the countries are forced to take immediate remedial steps to replace the petrol and diesel run vehicles by vehicles run on CNG fuel. The problem is becoming more serious in major cosmopolitan cities due to continuous inflow of people from other cities for various reasons like increased job opportunities, opportunities for business and trade and abundant educational facilities. This has made it essential to disperse the offices and commercial centers, hospitals and other day to day facilities to different locations throughout the cities thus increasing distances to travel. Due to rising cost of living in the metropolitan cities, a large number workforce lives in satellite cities and travels every day to the metropolitan cities for work adding to the number of transport vehicles on the road. According to a report by Hexagon Composites, there is rising demand for the natural gas-powered buses and commercial trucks across developed economies around the world due to low prices for CNG gas. The cost of natural-gas fuels in North America is about 40 percent lower than diesel, per diesel gallon equivalent. Composites Forecasts and Consulting (Mesa, AZ, US) brought out in its study in 2013 that high-pressure gas storage vessels is going to be one of the fastest-growing markets for construction of types of pressure vessels representing global sales of more than US$2 billion. Bulk transportation of compressed natural gas (CNG) products, and fuel storage in passenger cars, buses and trucks with powertrains dependent on CNG and hydrogen alternatives to gasoline and diesel are going to be the main market potentials for the composite-reinforced pressure vessels. Composites Forecasts and Consulting reported the number of natural gas-powered vehicles (NGVS) in the world at around 10 million five years back. These NGVs included cars, trucks, buses, and fork-lift vehicles. This number became more than 20 million by the year 2013 and is expected to be more than more than 65 million by the year 2023. Major junk of these NGVs (94 percent) are likely to be fitted with high-pressure fuel storage systems. Thereason why that so many vehicles on the world, becasue people is becaome more and more, and today the car is not high,since most of compoents can buy from China companies with very low price, for examples, 80% of vehicles sub contract companies are by plastic molds or custom injection molding parts from China mold and molding company, the cost is around 1/5 high than buying in Europe and America, but quality is very high, this is same to die casting parts as well, so all of car manufacring cost is taking done,and more and more people can buy. There is great opportunity for the manufacturers of high pressure die casting parts to meet the growing market demand. Along with the large opportunities in the future market for the high pressure die casting, the high pressure die casting manufacturers have lots of challenge to remain competitive in the market. Adoption of latest materials, latest technologies and manufacturing processes are going to be crucial for remaining competitive. It is the quality, cost and availability of the high pressure die castings which will decide a place for the high pressure die casting manufacturers in the competitive market.